One of the recent developments in the world of farming, are the new multi-national agricultural/chemical companies. Monsanto in particular has received world-wide criticism for the way it has tried to control farmers with patents defining what farmers can and cannot do with their genetically modified crops. In the USA, this multinational company even has its own legal Act of Congress called the Monsanto bill, which maintains in law a strict interpretation protecting Monsanto’s ownership and patents. Greenpeace and many of the ecologically focused justice and non-governmental organisations have raised their concerns about what looks like a corporate campaign to take over the world’s staple food crops. Vanity Fair magazine highlighted an article telling the story of aggressive and litigious practices of Monsanto, particularly towards smaller farming organisations across the world. One good piece of news, is that that the European Commission has been very careful in what it has approved influenced by the hard realities that farmers have experienced in the USA. However, Monsanto is now throwing its political weight in Europe, and many are concerned that it will soon give way and patent many key staple foods. For more details on the criticisms of Monsanto check out this site. and here. Art Installations, a creative reinterpretation of the Stations of the Cross and a Lent Course exploring the spiritual season with the insights of non violent communication. Lent is an important liminal season in the church calendar. It symbolically reflects the 40 days that Jesus went into the desert to wrestle with his faith and his humanity following his baptism at the beginning of his ministry. Lent is traditionally a season for Christians to spiritually reflect on their faith, life, understandings and attitudes at a time for questioning and self-growth. This year the Moot Community at St Mary Aldermary will be joined by others from Bank Churches and beyond. We live in stressful and complex times when all too often Christians have been involved in conflict and contributed to a world that is increasingly lacking in love, compassion and respect. We remember that the Great Commandment was the highest tenet of Jesus’ teaching, which we as followers of the way of Christ have at best neglected. We are called to love God, love ourselves and love others. So how do we do this practically? For Lent 2013, we are seeking to explore what it means to be ‘the people of peace’. We will draw on the reflections of a particular book by Jamie L Prieto, ‘The Joy of Compassionate Connecting: The Way of Christ through Nonviolent Communication.’ In each session we will begin with a time for silent engaging with the art installation and Stations of the Cross. This will be followed by an exploration of a particular aspect of being the people of peace drawing on scripture, dialogue, prayer and introductory approaches to non-violent communication. So this year, the five-week Lent course on Wednesdays will follow the week after the Ash Wednesday Service and opening introduction. It would help us to know who is planning to attend by booking up places on our free event organisation site – please go to http://lent2013.eventbrite.com to book places. This year we are very pleased that Chris Minchin, a participant of the Moot Community and a sculpture student at the Royal College of Art will be contributing an art installation on the dynamic theme of the desert as well as creating an experiential interpretation of the Stations of the Cross. Lent begins with an Ashing Service at 5.30pm which is a service of penitence and a time to intentionally commit to spiritual reflection for the next 40 days. This is followed by our meditation group at 6.30pm where we practice the John Main approach for a silent 20 minutes finishing at around 7.15pm. At around 7.30pm we will gather for a time to reflect on the art. This will begin quick prayer and followed by an introduction from the artist, Chris Minchin and ending around 9pm. In this session we will explore the implication of John 10:10b I have come that they may have life, and have it to the full. In the context of interpersonal, societal violence and the liberation of the way of Jesus, we will explore an overview of NVC (Non-Violent Communication). In this session we will reflect on the imagery of the Tree of Knowledge of Good and Evil. We are reminded of our creation and how God made us in God’s image and likeness, saying we are very good. However, we also have a strong shadow-side that can distort us and others. Learning to love ourselves is an important step to be able to love others. The Beatitudes are focused on the message of Jesus from the canonical Gospels and how his message of love is used in communication. Empathy is a form of grace and honesty is a form of truth. In these final two sessions, we will explore the concepts and practice of NVC within a Christ-centred life. Refreshments: Tea, Coffee and other refreshments will be available. Totalising discourses. How do you tell a mathematician from an engineer? Consider a tap, an empty jug next to it that can hold water, and a kettle on the other side of the kitchen. How do you fill the kettle? Both the mathematician and the engineer would fill the jug with water from the tap, take it across the kitchen, and fill the kettle. Now revise the experiment: a tap, a jug full of water, and a kettle on the other side of the kitchen. The engineer would take the jug across the kitchen and fill the kettle, while the mathematician would empty the jug, thus reducing the problem to one we have already solved. One thing that has struck me recently is the variety of ways of seeing the world that that take one lens, one image, one perspective, and apply it to everything. These totalising discourses tend then to reduce all questions to those within the paradigm – much like the mathematician. As a mathematician I can sympathise with this desire for conceptual unity, but I’ve recently become aware of its hazards. Where I currently work, I meet at least three – I’d like to think four – of these visions of the world. Two of them are familiar, and indeed one of them seems to dominate much thinking in London: the economic discourse. This sees everything through the spectacles of the allocation of scarce resources. Exchanges take place to maximise utility in market places that are characterised by a variety of buyers and sellers with different offers and different demands. Since theory predicts optimum efficiency in perfect markets without inefficient interventions by state regulation, this encourages us to “set the market free”. Since efficiency is obtained by including a wide range of sellers and buyers, this invites us to bring more and more into the marketplace. By recognising the opportunity cost of time spent, we can bring leisure into the market; by recognising the marginal increase in future earnings we can similarly capture education.Some familiar theorems about efficiency – a suitably value-loaded term, for who wants to advocate an inefficient solution? – then invite us to see all interactions as the exchange of value, all transactions as market-based. And since every interaction between people can be seen as a bargain in which each seeks to maximise their utility – itself a monotone increasing function of quantity – we can reduce all interactions to implicit sales. Since the only way to decode those transactions (which all interactions have become) is through some common numeraire, everything becomes monetised. We find the opportunity – indeed, the obligation – to analyse every form of human interaction as a purchase; families are economically efficient marketplace responses to the need for food, clothing, and shelter. Risks are hedged in futures markets in everything from food to health care, and in the end we have money the measure of all things. And yet … and yet … Do we really believe that we fall in love through a calculation of the future stream of hugs and kisses? That we bring up children as a financially optimal insurance policy for old age? That we support our local team out of an assessment of imputed returns? While the economic discourse is all-encompassing, closed and internally (probably) consistent, it is also manifest nonsense as a description of how real people actually live their lives. And the failure to challenge it has led to a deep impoverishment of public speech and imagination, most evident in responses to the current economic crisis. There is of course another popular discourse in public speech and thought, almost equally totalising. That sees everything in terms of politics. All interactions are about power, and the alliances and factions that accrete power. Those with power secure their desired outcomes, and those without power are compelled to acquiesce in those outcomes. Money buys power, of course, but the power discourse recognises other sources of power as well – status, strength, skilful speech, even height and good looks bring power in one form or another. Yet all relationships are fields of power play, and no interaction takes place without the exercise of power and its manipulation to get the powerful his (or sometimes her) desire. This vision was even embedded in the familiar phrase that “the personal is political”. And of course, like the economic discourse with its valid recognition of the power of exchange and the way we discount uncertain futures, so the political discourse contains important insights. It is all too easy for the powerful to dominate the language of public policy. However, power operates in the reverse way to economics. While economics seeks to capture all interactions overtly, the powerful often seek to cloak their power. As a result, the political discourse contributes greatly to our understanding when it unmasks the power relations that underlie our most familiar friendships and modes of speech. And yet … and yet … there is more to us than power, too. While bringing power asymmetries into the light is important, the assumption that it must always be so, that power will always be the determining factor in relationships, can be as pernicious as the picture of all life as a cash cow. For we need not see power as something to exercise, nor need we helplessly submit to power in others. We learn that classes and nations do not give up power, but rather have it wrested from them; yet in saints and in ordinary families we see the evidence of voluntary surrender of power. And of course in Christ we see omnipotence – total power – taking powerlessness, even to the point of death by torture, as a choice lovingly embraced. So both economic and political discourses bring valuable insights, but fundamentally distort when they are applied outside their proper realm. I’ve spent a lot of time recently with a third totalising discourse, that of force. The military deal in an ineluctable reality: that there are people out there who seek to impose their will on a community by force. If their will is not forcefully – indeed forcibly – contested, then they will dominate and despoil. The only way to hold that back is by opposing force. The discourse of force is close to that of power, but sees everything through narrower spectacles. The dominant mode is compulsion, the calculus is weight of fire. Whoever can bring greater force to bear at a point will win, and whoever brings insufficient force to bear will be defeated. The loser loses all, often including her or his life. The currencies of courage, discipline, planning and foresight are essential resources for the use of force, and the virtues of self-sacrifice, comradeship, resolution and bravery may be part and parcel of both winner and loser. But in the end it is all about winning, being the last one standing. In a war it is hard to see beyond the fight. When you are being shot at from several directions, it can be hard – it may not be sensible – to debate the rights and wrongs of an assailant’s understanding of the history of the area, their motivation for shooting you or setting fire to a girls’ school, or the complexities of ethnic politics and agricultural livelihoods in the area. War is all-encompassing and all-consuming. And those who see the world through the lens of force feel that anything less stark is unreal, masking the cold reality of life in soft wrappings. In the end, nations – and classes – survive if they are strong enough, and disappear if they are not. War is the Darwinian selection process for societies. Again, within its own frame of reference this is compelling. There are rules for war – jus ad bellum, jus in bello – which set proper limits on how war may morally be waged. But within those limits the cold hard logic of reality strips away much sentimental deception from the skin of society. Trotsky saw this clearly in his account of the Russian Revolution, and his dispassionate analysis, if not his lively rhetoric, holds true in many ways today. And yet … and yet … We have seen the cost of war, and in a nuclear age we know that we must set limits on it. We know that the classic case for just warfare has all too often been fudged by the politics, driven by the economics, for the interests of the rich and powerful. And we also know that people have resisted force, that the tanks and guns of the Egyptian Army did not hold back the popular tide in Tahrir, that the tide of people power has swept over the barricades from Benghazi to Manila, that we have alternatives to violence as a lever for social and political change. So all three totalising discourses fail. They fail, not necessarily because they are wrong in their own realms, but because they extend beyond those realms into areas of life where they do not apply. They can bring insights, of course, but they can also blind and confuse. “Render unto Caesar the things that are Caesar’s, and unto God the things that are God’s”. While Jesus’ response to the coin of tribute was subtle (his question “whose image is this” invited devout Jews to identify idolatry in the coin, and hence “the things that are Caesar’s” do not endorse submission to Rome but recognition of its idolatry) Jesus’ words remind us that there is a realm where Caesar has no power. Caesar, of course, embodied all three discourses – economic, political and forceful – for a Jew in Jesus’ day. His words remind us that Caesar’s realm – whatever it may be, if anywhere – is bounded. Jesus’ life also reminds us that God’s realm is not. In his life and death Jesus demonstrated the absolute demand that God makes on us. “A condition of complete simplicity, costing not less than everything”, as TS Elliott wrote. Jesus calls us to, offers to us, a life that is complete in the Tri-une God. That call is more satisfyingly total than the siren song of wealth, the cold iron of force, the pervasive pressures of power. Instead it sketches out a world in which all of those are brought into submission to the single flame of God’s love. Now that is a totalising discourse that terrifies me, intrigues me, entrances me. That is a language worth learning. Well it is now one year on from the Occupy protests outside St Paul’s Cathedral, and I was pleased to see there was a good reflective article exploring the event and implications in the Church Times. I was moved by the picture above, when I recognised Jonathan Bartley in the small numbers of those who refused to move before the police cleared the last vestiges of the protest. As we talked of a year ago, the protests did give some real space to encourage people to explore our current situation and to question what often is unquestionable, and unrestrained global capitalism is the one area that still is not questioned enough, because it is so powerful. I commend reading the article, and none of this would be possible, if people were not willing to protest. I am wondering increasingly is the Church called to protest to ensure that real debating space is created, as I really do not think there is sufficient space in our democracy now to really dialogue and explore, with such big things facing us, this space is incredibly important. It has been extremely distressing to observe the increasing number of suicides happening just around the corner to the home of the Moot Community at the Guild Church of St Mary Aldermary at 1 Poultry Street. Another unreported death happened yesterday. It makes the point in our stressful and uncertain times, how important wellbeing is, and the need for support, kindness and generosity as many people face increasingly difficult lives. There is always a certain amount of helplessness that happens in such situations, what can we do? Well one thing we are committed to do is to pray and to continue to put on events that promote health, wellbeing and the alleviation of stress, so please do join in with me to pray for those who have been affected and those who have lost their lives. I have been in discussion with clergy in the area particularly of the Bank Churches group to explore how we can and should respond. If you have been affected in anyway by these tragedies, and would like to seek support or even just to talk, please do get in contact with us here, or through the staff of the parish church to the area at St Mary LeBow. Seeing a suicide is a very difficult thing – I know as I live in a high rise flat where a similar thing happened – and my flat mate of the time saw it and I saw what happened at the end, and it still affects me. It is a form of ultimate violence, so if we at the Moot Community or the staff at St Mary Aldermary can help let us know. We have a small team of therapists, counsellors and supporters who are able to support if required. if you are finding life and work stressful, and feeling overwhelmed by things and live or work in the City, then please do not suffer in silence, do get in contact with someone. We are here if you need us. Moot is proud to support this upcoming lecture series organised by the School of Commoning. James Quilligan, co-founder and policy development director of the Coalition for the Global Commons (2007-2008) will help us explore many new developments in the dawning world of the commons. Monday (22): How landtrusts provide deeply practical solutions for resource management. Why they are beginning to evolve into bioregional trusts, encompassing large, transboundary ecosystems. Tuesday (23): How closing the gap between resource consumers and resource producers allows people to reclaim power over their own healthcare. Wednesday (24): How our fiscal, financial and monetary structures have been captured by political and monied interests and how the decision-making for these economic systems can be restored to the common citizen. Thursday (25): How generative conversations can reduce the disconnection and powerlessness in society and create new forms of political accountability and trust. On Friday (26): Convened by MP Michael Meacher and Lord Andrew Phillips, we will assess today’s dysfunctional political economy and demonstrate how new leverage points for change can mobilize a commons-based society. Overview and how to register here. Manchester 3rd Oct, London 11th Oct Talk and Book Launches “Returning to first principles. The Holy Trinity in contemporary spirituality and mission. POSTED 29.09.12 BY: ianmobsby | Comments Off on Manchester 3rd Oct, London 11th Oct Talk and Book Launches “Returning to first principles. 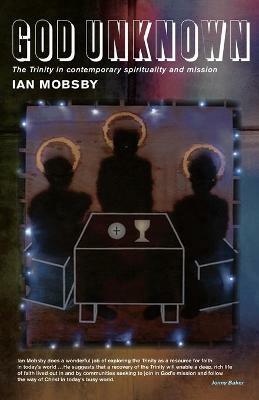 The Holy Trinity in contemporary spirituality and mission.